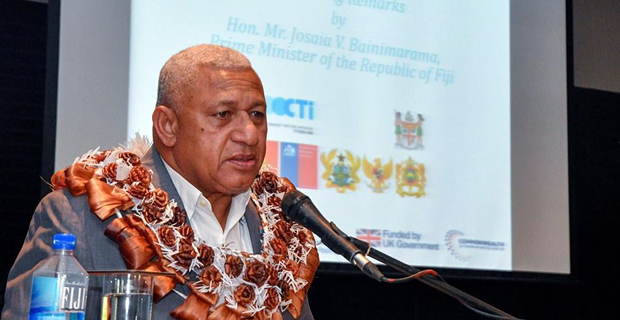 Prime Minister Voreqe Bainimarama says the culture of torture and violence has a powerful hold on the mentality of our people, and work needs to continue in Fiji and the whole of the Pacific to get rid of this culture. While speaking in a High Level Seminar on United Nations Convention against Torture in the Pacific at the Intercontinental Hotel, Bainimarama says we think to ourselves that I was hit in school and it formed me to who I’m today or my parents beat me and it toughened me up. Bainimarama says that mindset creates a tolerance for violence and it allows it to settle in to all parts of our day to day lives. Bainimarama says the cycle of violence needs to end. He also highlighted the tough stand the government had to take as some people continue to call for the return of corporal punishment in schools. Bainimarama says according to the Fijian constitution human rights are afforded to all of us regardless of our standing in society.